Mothers in Norfolk, UK, who are about to give birth will be the first in the country to be offered an ultrasound scan in order to help spot breech babies before they are born. The Norfolk and Norwich University Hospital (NNUH), located in the East of England, currently delivers 6,000 babies a year including around 150 full term breech babies. It has now been given funding under an NHS safety campaign to provide 25 hand-held scanners that will mean safer births for women who had no idea their baby was not in a head down position. 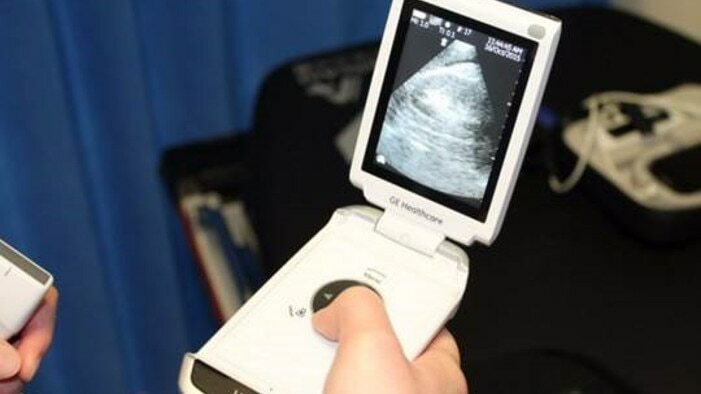 The Vscan™, developed by GE Healthcare, is a handheld, pocket-sized ultrasound tool that provides real-time black-and-white anatomic and colour-coded blood flow images at the touch of a button. The easy-to-use device provides a non-invasive look inside the body that can help speed up diagnostic decisions for a wide range of patients. Its small size and light weight when compared to traditional ultrasound equipment also means staff at NNUH can carry their Vscan from patient to patient with ease. As part of the pilot scheme 190 midwives at NNUH are currently in the process of being trained to use and interpret the scanners. Then there will be one in every delivery room and two on the antenatal ward and midwife led birthing unit. A late diagnosis during labour that the baby is in a breech position often leads to an increased likelihood of an emergency caesarean sections and other complications. Jo Keable, Practice Development Midwife, explained that traditionally, the midwife’s skill at ‘palpating’ or feeling for the baby’s position is 70% effective. Now equipped with a Vscan, Jo’s confident that the NNUH team can deliver a 100% diagnosis rate of any breech problems. Jo went on to explain that babies normally turn head down ready for birth around 33 weeks. If they haven’t turned by labour then the birth can be more difficult and more distressing for the baby.